Update your classics. 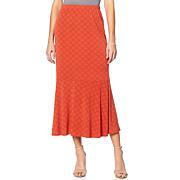 Why have just one of your favorite, super-soft jersey knit skirts when you can have two? 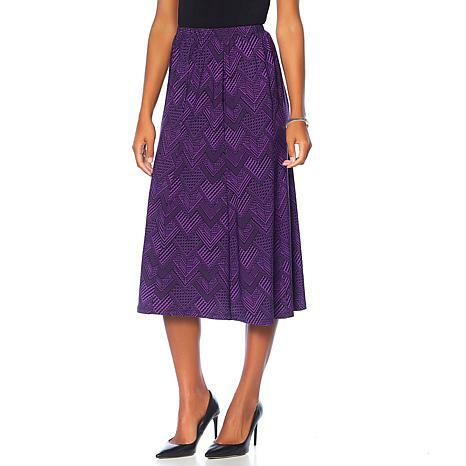 This two-pack set features a printed, gored version and a slightly less volumous A-line silhouette, giving each skirt a versatile, stylish look you'll love to live in. With tees, tanks or blouses, they will become your go-to staples. Both skirts fit great. Match other clothes of Annthony. 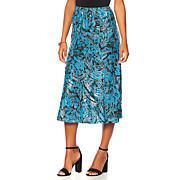 Nice skirts and nice colors. I bought the 2 pack in purple and medium and they fit and look perfect. They were a great price for 2 of them. Very nice material. 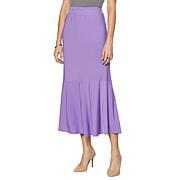 Antthony, these skirts are my new favorite...so beautiful, well-fitting, and I got every color!! They really do help to build a great wardrobe and these pieces are amazing on their own, but I'm SO GLAD I also got the matching tops too, for many more wonderful mix and match options to come! PLEASE continue to make more coordinating pieces exactly like these, oh, and ordering the pants now too. L O V E them all! !